William Lightfoot Schultz founded Shulton Co. in 1934, the original producer of the famous Old Spice. 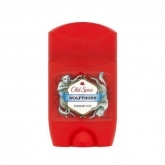 In 1937 the first product for women was launched and in 1938, the first Old Spice for men. Then, the brand was gaining popularity and was modernized. 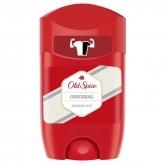 The traditional glass bottles gave way to plastic, this change was made under the name Old Spice Original. “If your grandfather had not used it, you would not have existed”. In 2000 Procter & Gamble co. acquired the brand and released the stick deodorant, shower gel and body spray. 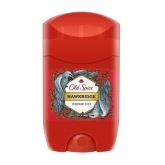 In early 2008, the original Old Spice scent was repackaged as "Classic Scent", both in the after shave and cologne versions. The white glass bottles gave way to plastic, and the grey stoppers to red. Old Spice Classic shower gel was sold using the slogan "The original. If your grandfather hadn't worn it, you wouldn't exist."